Find a distinguished fragrance to match your personal style at Egoist Royal Parfums. The shop has been selling classic perfumes for women and men for 20 years. Let the helpful staff guide you through the world of subtle scents and find the one (or more) that best pleases your nose without overwhelming it. The designers featured in the shop include Prudence, Houbigant, Mоntal, Evody, Micallef, and MDCI. Make your Prague itinerary with Inspirock to find out what to see and where to go. Oooooh ... for gourmets. the most ... do not leave without a purchase. very convenient, near pubs restaurants, you can and wash. The real deal, my favourite Montal at a good price, selection, also quite handsome. The friendly and polite staff. Clearly I can recommend recommend visit this store. This one is also a place to find niche and rare perfumes... A bit hard to find, but its really worth the search. 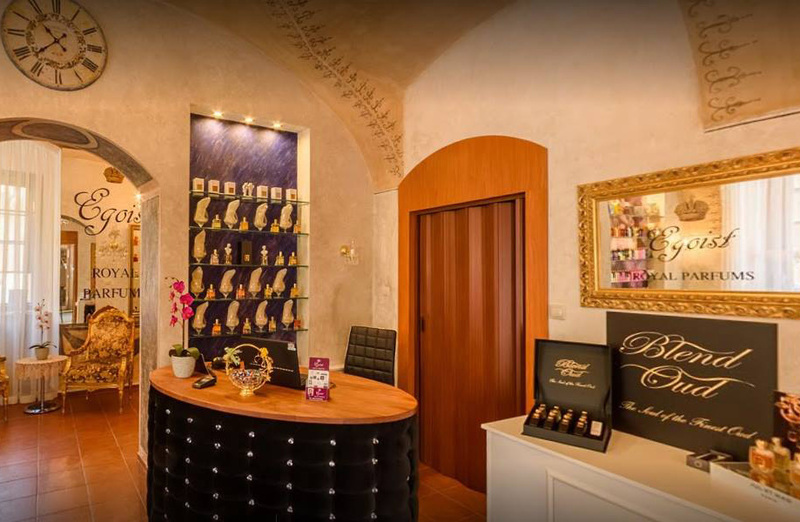 Wonderfully welcoming service and a true love of perfume is what you'll find here! I wanted to find a scent that felt like my own and the staff at the Egoist helped me discover it! They make you feel welcome and comfortable even as an individual traveler who speaks no Czech. I loved the warm atmosphere and true passion for fragrance they exuded. Thank you and I'll be back! Cozy place and nice employees. Very wide range of perfumes. I found here one of my favorite fragrance of Montale brand. if you are seeking for something special for you or for your lover I strongly recommend visit this place. So many niche perfumes in one shop, that i couldn't believe, wish i i could have it in my city. 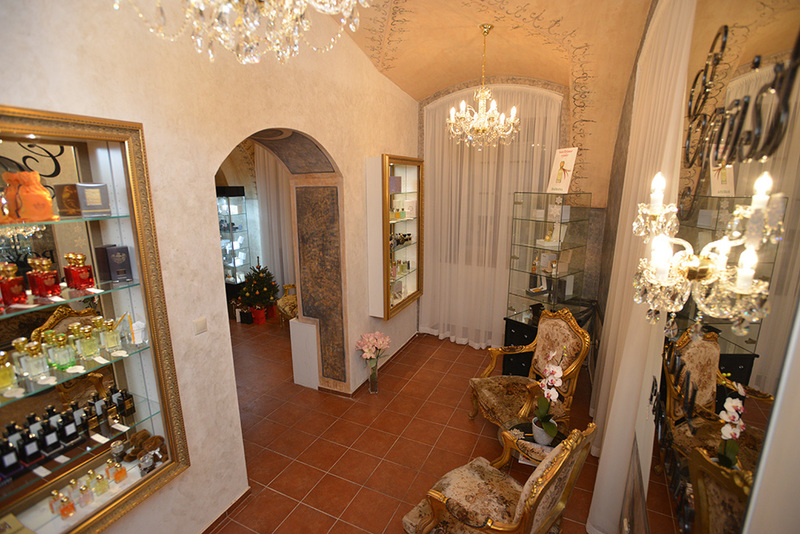 For me this shop is one of the reasons to visit beautiful Prague again and again, and to get some new love - fragrance to my collection and fulfill the wishes of my friends . It is in the center of the old city. The management are very helpful, the design of the shop very nice, it s a pleasure to be there, you can get even cup of tasty coffe and take a rest for while at nice atmosphere. Some of my favourites such as MDCI Paris,Isabey Paris,Keiko Mecheri, Eutopie, Houbigant i finally found at this shop and was so happy to get it . Staff were extremely friendly. I would recommend this shop to anyone looking for a place with character. I'll definitely come back. Thank you so much for all. Every day, we help thousands of travelers plan great vacations. Here are some tips on how to use your Listing Page to attract more travelers to your business - Egoist Royal Parfums. Promote your permanent link - https://www.inspirock.com/czech-republic/prague/egoist-royal-parfums-a3316136517 - on your website, your blog, and social media. When a traveler builds a plan from this page, the itinerary automatically includes Egoist Royal Parfums. This is a great way for travelers looking for a great vacation in your city or country to also experience Egoist Royal Parfums. Promoting your link also lets your audience know that you are featured on a rapidly growing travel site. In addition, the more this page is used, the more we will promote Egoist Royal Parfums to other Inspirock users. For best results, use the customized Trip Planning Widget for Egoist Royal Parfums on your website. It has all the advantages mentioned above, plus users to your site can conveniently access it directly on your site. Visitors to your site will appreciate you offering them help with planning their vacation. Setting this up takes just a few minutes - Click here for instructions.